February may be Disneyland's quietest month, after Haunted Mansion and It's a Small World have re-opened and before spring break is in full swing. The parks are opening hours are shorter than in the summer, they aren't crowded, and the wait times are short. On the downside, nighttime parades and evening shows like World of Color, Fantasmic! and the fireworks may not happen. To celebrate Valentine's Day, you may find heart-shaped balloons for sale and Valentine-themed foods. 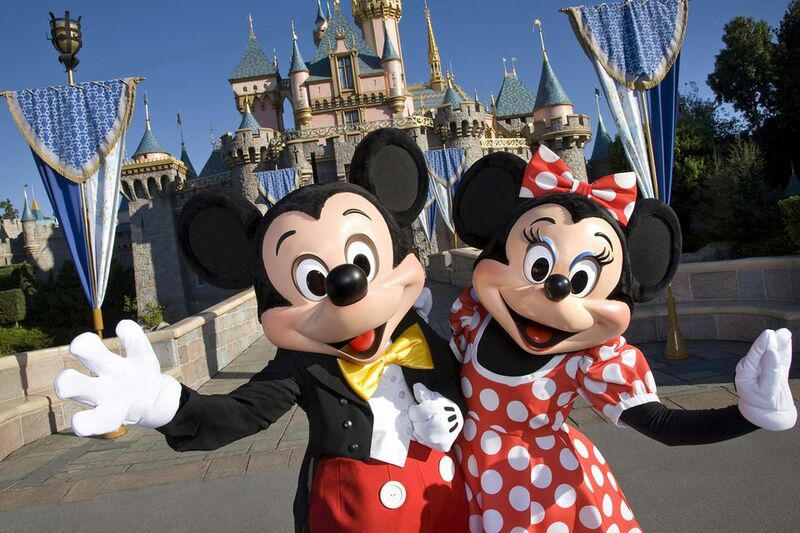 Check the pros and cons of visiting Disneyland in winter. In general, February is relatively uncrowded at Disneyland. If you go during the week, you may feel like you have the place almost all to yourself. For day-by-day crowd predictions, use this crowd forecast calendar. President's Day (third Monday of February) may bring slightly larger crowds. Some folks say Disneyland is less busy on Super Bowl Sunday, but now that the secret's out, too many people take advantage of the idea, and it gets more hectic than usual. If you'd still like to visit, look up the Super Bowl date here. If the winning team says they're going to Disneyland to celebrate, expect crowds as their fans flock to the park to see them. February is the rainiest month on the average, and that rain sometimes falls on a single day. Disneyland never closes because of rain, but rides with outdoor tracks may close for safety precautions. At the extremes, Anaheim's record low temperature was 3 F (-1 C), and its record high was 108 F (42 C). Check the current Disneyland weather forecast a few days ahead for the best information. The less-busy season in terms of visitors is the busy time for the Disneyland maintenance team with major closures happening this time of year. Check touringplans.com for a list of rides which are expected to be closed for refurbishment. Disneyland's hours are generally shorter when the days are shorter. These are the typical hours in January, but California Adventure hours are often shorter than Disneyland's. Check the official February hours up to 6 weeks in advance. On the average February, is the rainiest month in Anaheim. If rain is predicted, take a poncho or hooded rain jacket, but we don't recommend an umbrella. It's hard to move around a theme park while carrying one, and they're a nuisance to stow every time you want to go on a ride. February can be cool to chilly, especially after the sun goes down. If you want to enjoy the water rides, wear something that will dry out quickly. Soggy blue jeans get annoyingly uncomfortable after a couple of hours. A simple plastic poncho will also help keep you dry while on the ride. If it all seems like too much to carry, you can rent a locker for just a couple of dollars. Before you start packing your bags, take a look at the tested and proven tips in the girls' guide to packing for Disneyland. The Lunar New Year begins when the sun and moon begin their journey together for another year. In honor of that, California Adventure park puts on a celebration in Disney style, when you can enjoy Mulan’s Procession and other Asian-themed performances. You may find Disney characters in seasonal costumes and you can participate in free arts and crafts activities. And even if it’s not the Year of the Pig, you can pig out on Asian-themed food with an unmistakable Disney twist. It usually starts toward the end of January but you can check this year’s calendar for the schedule. The website isitpacked.com says February isn't too busy in general. To get a day-by-day prediction, use their crowd forecast calendar. During the Lunar New Year celebration at California Adventure, kids can get their faces painted for free. Make that one of your first stops so you can get maximum enjoyment from it. If you want to sample the Asian foods at the Lunar New Year celebration, start by looking at the menus and decide how many you want to check out. If you want to eat enough of them, consider getting a Sip and Savor pass to save money. Tickets: Disney often offers promotional deals in February, selling adult tickets for the kids' price or Park Hoppers at the cost of a one park per day ticket. Check their website for details. Hotel costs: February is a good time to find hotel deals, especially if you go mid-week and have a flexible schedule.